Blackshit fans will be happy to know dat Sid’s Pub (Tmn Tun n Bangsar South) will have Guinness at happy hour prices all nite long dis month. Nett $18.70 a pint, $11 half a pint. .The German pub down d road in Tmn Tun, Deutsche Haus, has a new draft Irish stout. It’s called Connor’s. By Carlsberg Brewery. Pretty good. This entry was posted in ~ Bars / Clubs / Restaurants ~, ~ Beer (lager / ale / stout) ~, ~ Booze news / new products ~ and tagged Connor's, Guinness, happy hours, new stout, Sid's Pub by Deep. Bookmark the permalink. Had this at Brussels. Got to say was dissapointed with the knowledge of the workers. One guy said it was from Scotland, another from Ireland. The taste was quite light and very malty. Definitely a new direction in stout but not one I’ll be heading in. I like my stout creamy and thick. If I wanted light, id get a hoegaarden. Not to mention I can’t find anything about this beer. U means Brussels Cafe in PJ right? 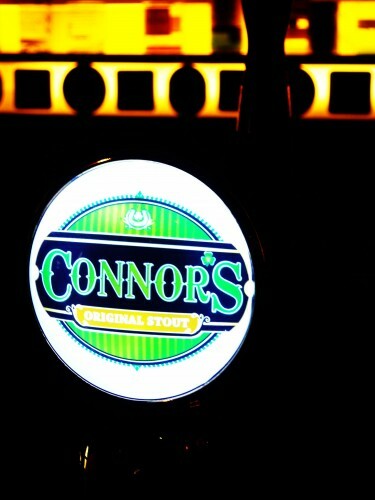 Ur right – Connor’s is malty and lighter-tasting. 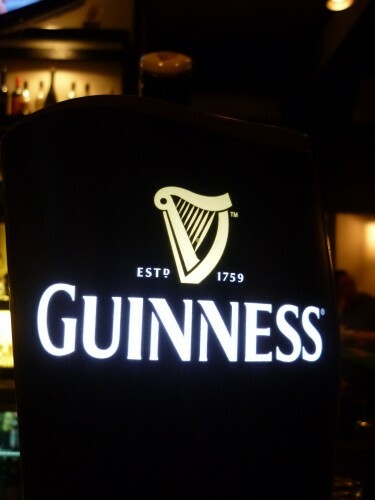 I kinda like it after drinking too much Guinness all d time – the creaminess can get to u and really fill u up. U wont find any info about it online coz its actually made locally, and coz Carlsberg Malaysia isn’t aggressive in marketing it. Forget about asking d staff.